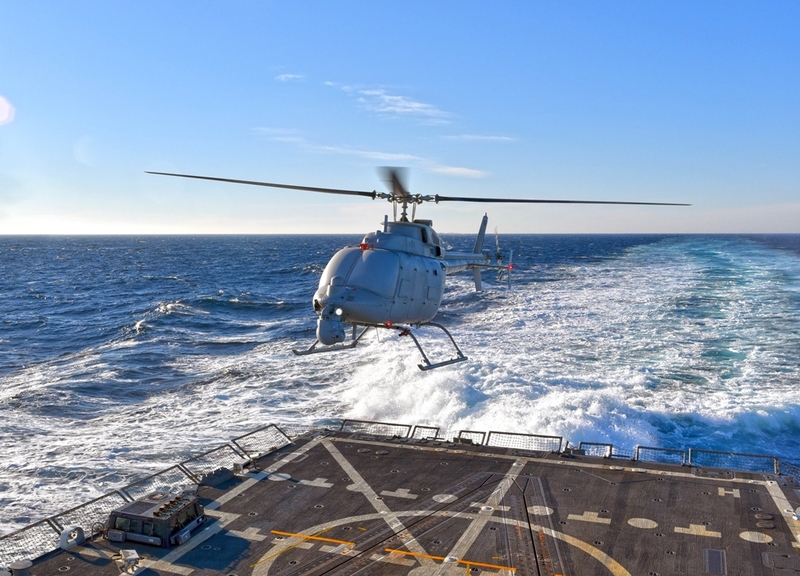 Leonardo-Finmeccanica’s Osprey AESA radar has been picked to serve as look-out on-board the US Navy’s newly-upgraded unmanned helicopter, the MQ-8C Fire Scout. The helicopter will be launched from the decks of US naval combat vessels to keep watch for distant threats. The contract will see Leonardo delivering an initial batch of 5 radars to the US Navy’s procurement organisation, the Naval Air Systems Command (NAVAIR), for testing and evaluation work. NAVAIR then has an option to buy a larger quantity of the radars for use in real operations. Leonardo has already built a number of Osprey radars so the primary task under this contract is integration with the MQ-8C Fire Scout in time for first production deliveries. Using its electronic beam technology to scan from high in the sky, crews back on-board will be able to spot even those threats who think they are hiding safely beyond the range of standard ship-based sensors. Employing high-frequency radio waves to ‘see’, an Osprey-equipped MQ-8C Fire Scout can detect targets at extremely long ranges, at night and even in stormy weather conditions when visibility is extremely poor. The radar’s world-first flat-panel technology also means it can be installed within the mould line of the helicopter rather than having to use an underslung belly-pod. Leonardo is an international leader in radar technology and the Osprey was selected in part because it is the world’s first radar to provide the needed coverage without moving parts or the need for a bulky external radome, all in a package light enough to fit on an MQ-8C Fire Scout. The MQ-8C Fire Scout is expected in future to be fully integrated with both variants of the US Navy’s littoral combat ship and be used extensively on operations. The US Navy has chosen the 2-panel version of the Osprey which will provide a 240 degree instantaneous field of view and a range of digital modes including weather detection, air-to-air targeting and a ground moving target indicator (GMTI). The lack of moving parts inherent in the ‘E-Scan’ design means that repair and support costs are vastly reduced compared to alternative radar options. Osprey also provides an open architecture, meaning the US Navy can insert new software independently.